Grainger’s recycling efforts stretch far and wide, and include cardboard, plastic, paper, electronics and, of course, batteries. But for the company, recycling goes beyond sustainability. It’s a way to bring together customers and team members to do their part to protect the environment. 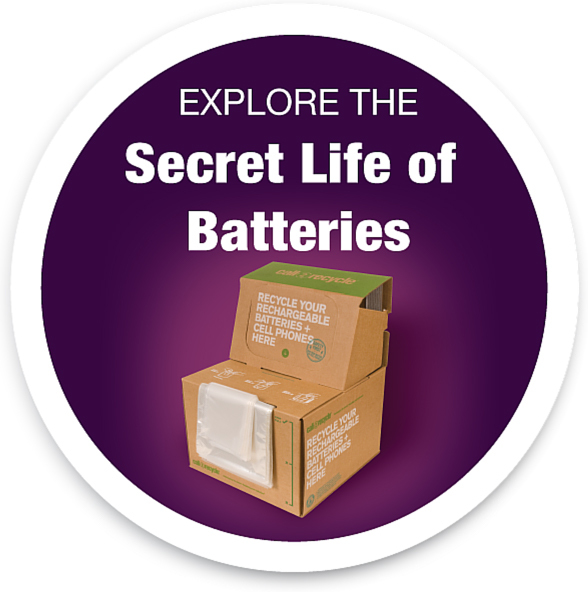 In September 2014, Grainger launched a three-month take-back challenge to its 365 branches in the U.S.. Stores were asked to collect as many rechargeable batteries and cellphones from their customers as possible between Sept. 1 and Dec. 1. In-store fliers, large posters for pedestal displays, promotional tents, window clings and a customized website for tracking progress helped promote the program and keep motivation high. The promotion paid off with the branches collecting 11,367 pounds (5,155 kg) of rechargeable batteries, an increase of 23% compared to the same period last year without the campaign. “The three-month challenge enabled our branch teams to get actively involved in our corporate sustainability initiative. Every team member and customer can be proud of their contribution in recycling batteries to keep them out of the landfill,” said Jennifer Horak, branch planner, Grainger, who coordinated the program. “We credit our success to Call2Recycle, which made organizing and running the campaign easy.” This is the second campaign Grainger has hosted in the past three years. To launch your own in-store, take-back challenge, contact your Call2Recycle account manager or call 1.877.723.1297.